I don't know about you, but I love wrapping presents. I'm always the one who gets asked to wrap the presents for my family (assuming they're not my own) so naturally, I love Nice Package and their incredible range of giftwrap solutions - they have everything from birthdays to Christmas, Anniversaries and more. 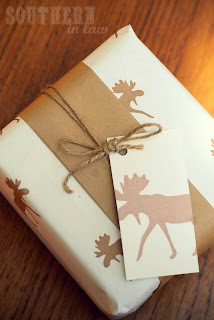 Today, we're giving away the Moosing Around Package which is perfect for Christmas - I actually used it to wrap one of Jesse's presents. These packages make it easy for anyone to be a gift wrapping goddess as they contain everything you need and easy to follow instructions. Step two: Leave a comment on the entry post on Facebook telling us What was the best gift you ever received at Christmas? 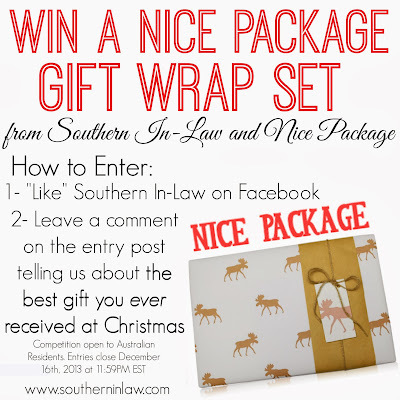 Competition is open to Australian Residents and closes on December 16th, 2013 at 11:59PM EST. The best valid entry will be selected as the winner by Kristy, Jesse and Westfield and notified via email. Should the winner not reply within 14 days of contact, an alternate winner will be selected. 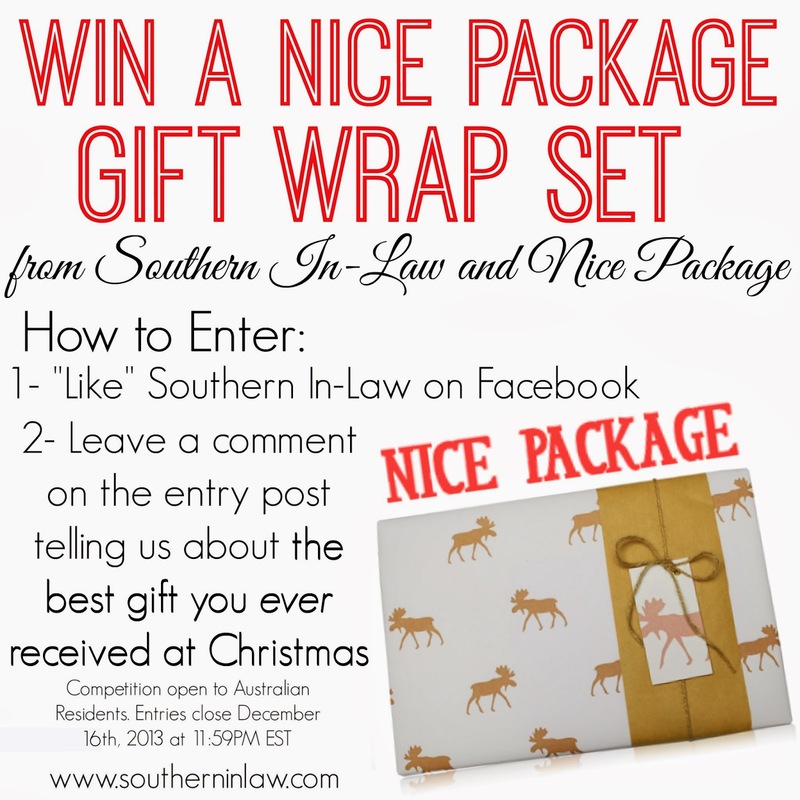 Please note: the winner must be a valid and current liker of the Southern In-Law Facebook or other relevant social media pages at the time of competition's close.